I have never stopped believing in the power of a vision that captures one’s imagination and fuels a deep seated passion to make a difference in life and leave legacy of contributions that is remembered long after we are gone. The idea of creating a vision that fuels my desire to live life fully forms the foundation for a life that is built on purpose and serves to open doors of opportunity for others as well. 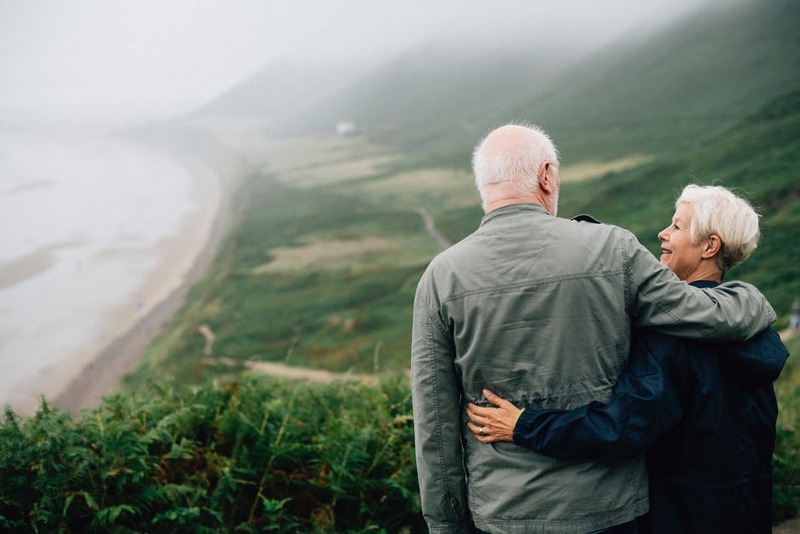 In the context of aging healthfully we can draw from the idea that “pulling us forward’ is an inner desire to NOT live life on the “edges” but become completely engaged and energized by what it is that we do on both the professional and personal levels. I believe in the power of a vision that yields purpose and also creates a deep sense of responsibility and accountability to one’s goals. This idea of creating a vision is at the heart of how I view my life now. I have spent a lifetime making decisions about both personal and professional matters that were limiting and not empowering. When I finally created my vision I learned I had become committed to my purpose and felt free to live my dream without fear –or reservation. Here is my vision as it is currently written: “Healthy aging is a consciousness issue. It is not merely the death of our cells but is a complex and dynamic process that is grounded in change as life unfolds for each of us. The challenge as I see it is discovering the potential that lies within each of us to become all that we were meant to be mentally, physically and spiritually. This potential can carry us to living lives of fulfillment, peace, and prosperity if we remain present during each moment of our lives – living consciously. Learning about who we are from the ‘inside –out’ while acting upon our choices in the present moment, enables and empowers us to live a life of great accomplishment. This is my vision of a world that is possible.” Implied in this statement of purpose is the idea that my health and my evolving needs as I grow in time are dependent on the present circumstances as I understand them. Everything that we desire in life comes through relationships. The mind of man is unlimited in its potential and responds to specific demands made upon it. The purpose of life is to discover, develop and share our natural gifts. The rewards in life are directly proportional to your service to others. My values are clear. Without my health I can accomplish nothing in my life. This notion fuels my desire to train mentally, physically and spiritually each and every day in order to expand the borders of my consciousness and be of service in ever expanding ways. I have lived in my “shell” a long time and now I feel the presence of growth in all areas of my life. These articles are helping me to clarify my message and become more than I ever dreamed possible. It is about time after all I have lived 66 years, right? The programs I develop around these ideas will form the nucleus of what it is I am here to do (including publishing my book – no excuses!). I am also going to be “pushing back” a bit against the increasing influence of technology in our lives because every moment we spend tweeting, texting, checking our iPhones and communicating constantly online pulls us away from the ‘moment’ – the present – and this is only point of power through which we can change our lives for the better. The world is “attached” to technology now and we no longer acknowledge each other – we are just too busy! Make the time to meditate, imagine, feel, think and enjoy your life. If prayer works – pray by all means. Making time to take the “inner journey” everyday will make a world of difference in how you view and live your life – now and in the future. This work has paid off in spades for me. I am running faster and getting stronger everyday because I have taken the time to be with “me”. I have begun to prioritize my needs as they become apparent to me so that my life continues to move forward with meaning and purpose enabling me to be able to maximize the time I have left – whatever that turns out to be. (Remember the 6 minute mile on my 80th birthday?) Be strong and know that you have something unique in you that only you can give the world. Let your light shine and see what happens! Nicholas Prukop is an ACE Certified Personal Trainer & a Health Coach, a fitness professional with over 25 years of experience whose passion for health and fitness comes from his boyhood in Hawaii where he grew up a swimmer on Maui. He found his calling in writing his first book “Healthy Aging & You: Your Journey to Becoming Happy, Healthy & Fit” and since then he has dedicated himself to empowering, inspiring and enabling people of all ages to reach for the best that is within them and become who they are meant to be – happy, healthy and fit – and be a part of a world where each person can contribute their own unique gifts to life.